This post contains affiliate links. If you click on them and purchase a mattress I will receive a small compensation that helps keep this site going. Thank You. So you’re in the market for a new mattress. You’ve been to your local mattress dealer, you’ve laid on all their beds, and you still aren’t sure which one to purchase. After all, how can you tell after just a few seconds laying on a mattress with a salesperson breathing down your neck? Then you see an ad online and realize you can buy a mattress online. That begs the question, though, how can buying a mattress online be better than in person? After all, now you don’t even get to lay on it for those precious seconds to see if your body likes it. What if…what if…what if those online companies offered a free trial period that allows you to send the mattress back if you aren’t satisfied? Now we’re talking! See we’re in the market for a new mattress ourselves. 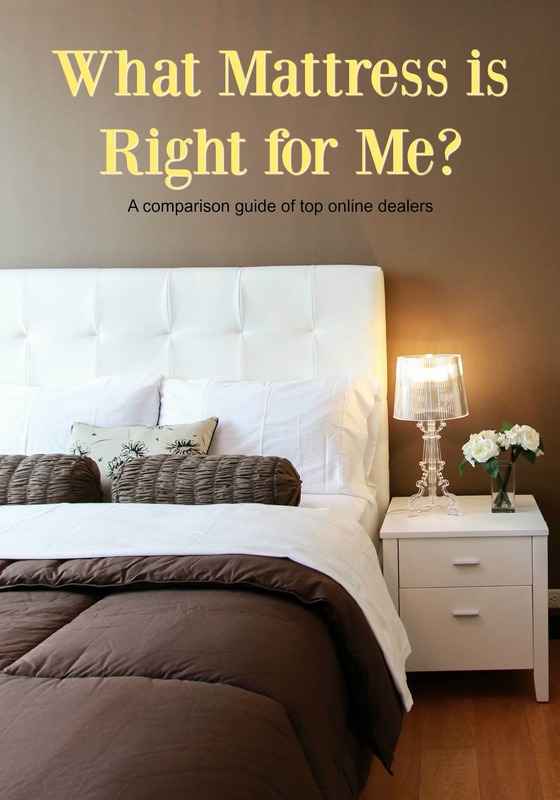 After a thorough comparison of the top 3 online mattress dealers, we’ve made our choice – I’ll reveal what we chose at the bottom of this guide – but I want you to have the same comparison I did without all the work. Here you’ll find the price, warranty, claims, extras, shipping, and in-home trial comparisons for Purple, GhostBed, and Nectar Mattresses. Also, I would suggest reading this in-depth mattress comparison so you understand what to look for in each mattress. Then follow this deal guide for the Best Mattress Deals Online & In-Store. 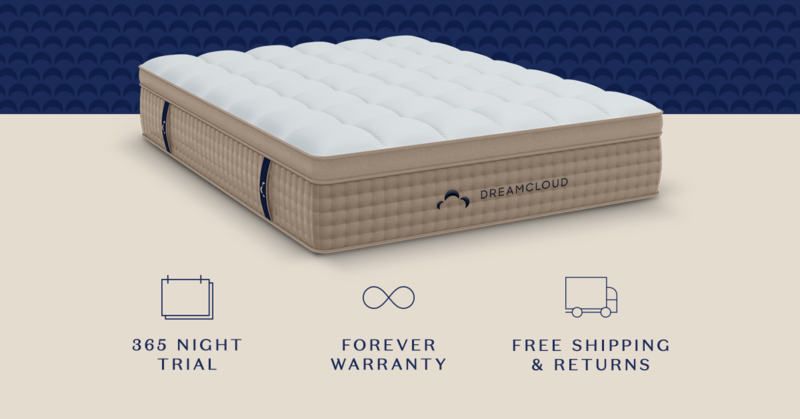 Another new company you may start seeing more of, DreamCloud claims to offer the convenience of online shopping with the luxury of high-end mattresses. It’s all in the name. Warranty: Everlong. As long as you own and use the DreamCloud they promise to clean and recondition if need be your DreamCloud Mattress. Claims: Even heat distribution, support where you need it the most, and high-density foam to ensure no movements goes unabsorbed. Financing: Yes, with interest-free payments. Free Stuff: Free shipping and returns! Not 100% satisfied? They’ll pick it up for free, no questions asked. Extras: White Glove Service offers mattress set up and old mattress removal. Can also puchase frames including adjustable bed frames. We first came across Purple on youtube, while enjoying some StudioC with the kids. Their egg test had us hooked, and seriously considering this one to replace our 11 year old mattress. Warranty: 10 years. Will repair or replace. Trial period: Purple offers 100 nights of in-home use. If you aren’t satisfied you can return for a full refund. Claims: Purple claims their mattress has no pressure points. Free stuff: Offers free shipping and a purple squishy sample. Extras: Seat Cushions, Pillows, Platform frame, Sheet protector, and Power Base. After looking at the Purple for a couple weeks, I began seeing ads for the GhostBed. That naturally led to looking into what they offered. Warranty: 20 years. Will repair or replace. Trial Period: 101 Nights of in-home use to decide if you are satisfied with it. Can return for a full refund. Claims: GhostBed claims it conforms to the individual body and provides optimal support. 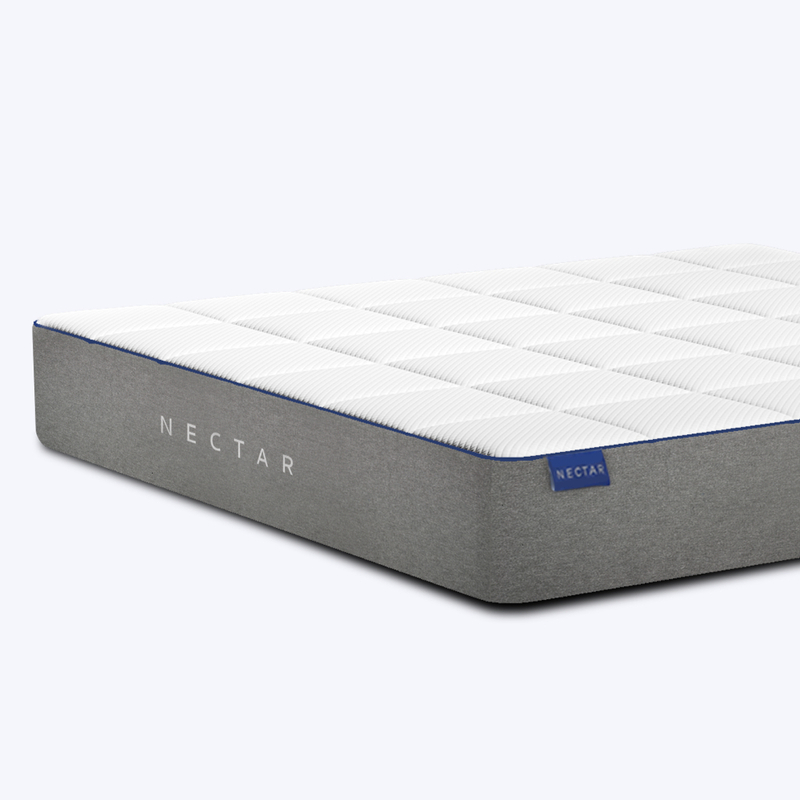 Finally, I heard about Nectar Sleep Mattress through an email from the company. Warranty: Nectar offers a Forever Warranty on their mattresses. That means they will repair or replace it literally forever. Trial Period: 365 Nights of in-home use. That’s a whole year to decide if you really like the Nectar. Claims: Stimulates airflow and wicks away heat. Bedbug resistant. Contours to your body providing pressure relief. Shipping: Currently backed up 2 weeks, but for the inconvenience, Nectar is offering a special discount. Extras: Pillows. Set up. Old mattress removal. Are you wondering which mattress we finally decided upon? Nectar Sleep had so many pros compared to the others that we couldn’t go with anyone but Nectar Sleep. The price was more in our range compared to Purple, and with a full year trial run how could we not? What really sealed the deal for me, however, was their bed bug resistant claim. We’ve never had bed bugs thank goodness, and I never want to have them. Great tips and recommendations! Shopping for a mattress these days is so hard because there are so many kinds to choose from! Lindsay recently posted…Who Invented The Mattress? Nectar is a really interesting choice. It’s much cheaper than others and if you can save a few bucks, why not. your choice Is really good. Ghost Bed Mattress is comparable any of position. you have done a good job. Thanks for sharing this comparison guide.